Danny Green’s fifth leader date is One Day It Will (OA2). Like the late lifelong Padre and Baseball Hall of Famer Tony Gwynn, Danny Green is San Diego through and through. A native of the Southern California city, the pianist, composer and educator was interested in a plethora of genres prior to attending University of California, San Diego as an undergraduate. He had an emphasis on both jazz and classical there, before earning a master’s degree in jazz studies from San Diego State University. Green’s longstanding trio with fellow San Diego residents Justin Grinnell (bass) and Julien Cantelm (drums) was founded in 2010. One Day It Will (OA2), Green’s fifth album as a leader, was released in late April and features his troupe supported by a batch of strings. 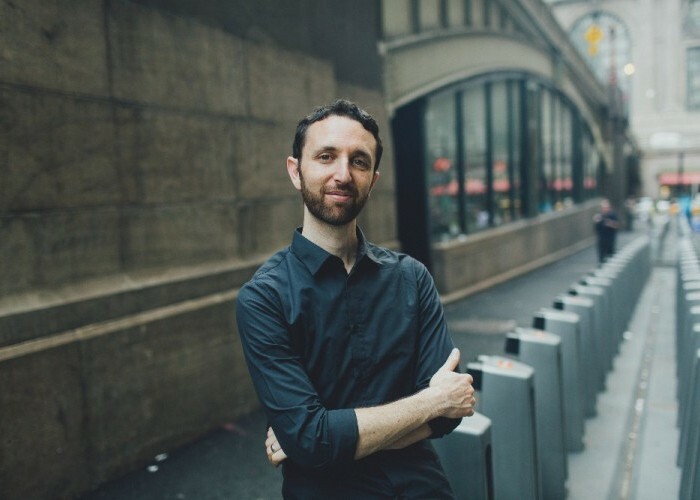 The pianist recently spoke to DownBeat about his connection to classical and Latin music, and how that’s influenced his work in the jazz world. How did the idea of doing an album with a string quartet come about? I really wanted the strings to matter in the music and not just be like a background pad. I wanted to give them an equal role in what we’re doing to feature them in different ways. So, that was always the question on my mind as I was composing: How can I make the strings integral to the arrangement? A lot of times that resulted in the composition changing or my adding new sections. It started with our previous CD, which is called Altered Narratives. I worked with Matt Pierson, who was the producer. He gave me the idea to incorporate strings on a couple of tracks. So, I did on three. Then after releasing the CD, the first gig I booked with strings was in New York. I felt like I should have more than just three songs for strings, so I arranged a couple more; I just kept writing more string arrangements. By the time I had an album’s worth, I felt like I really wanted to document it. Was the idea always to use viola, cello and two violins? That’s what Matt suggested. But I started writing that way, and it really worked out well to have four strings. If you wanted to split up the cello and viola and have the two violins, both mini-sections could put harmony together. Or if I wanted to have all the strings playing big chords, I have the four voices to work with. One Day It Will sounds like a group project, as opposed to a piano trio with a string quartet tacked on. Sure. “As the Parrot Flies”—it’s the second track on the CD—I came up with this string interlude right after the solo section. Originally, the song just went straight back into the head. And the title track, “One Day It Will,” toward the end of the song, I built in this little trading section between the strings playing this little harmonized soli line, and then me improvising between that. What were some of the albums that were inspirations for this new record? A more recent one I got into was Esperanza [Spalding’s] Chamber Music Society. It had a similar instrumentation to what I was doing—it had a string trio. I think the string quartet and trio has a little bit more of a rhythmic preciseness than a full orchestra, in terms of jazz rhythms and playing with a rhythm section. Let’s see, definitely Bill Evans Trio With Symphony Orchestra. I think I’ve been listening to that since the early 2000s. It’s just a gorgeously arranged album, and it was the first time I really heard a well-done integration of classical and jazz. I think one thing I really liked about it was just hearing Bill Evans solo with the orchestra playing the background. It just seemed like such a great place to live—soloing while having this beautiful harmony behind you. Herbie Hancock’s Gershwin’s World was another. That one my teacher, Kamau Kenyatta, turned me on to during my undergrad years. That was one we checked out together, especially how Herbie took the slow movement to Ravel’s Piano Concerto and kind of played it, but also improvised over it. Given your background, you must have had plenty of points of reference on the classical side. Right, I have a huge classical influence and have played a lot of classical music. I listen to classical and opera as much as I listen to jazz. A lot of the sounds I came up with for my album were based on music I’ve listened to … Wagner’s harmonic progressions and tonal choices and Mahler’s melodies. I understand you also went through a grunge period early on and played in ska bands. Little by little it morphed into a mix of that and jazz. I definitely felt like I came into jazz from the opposite direction of most people. A lot of people have trouble playing Latin rhythms at first. And for me, I had trouble swinging. But I guess it eventually all came together for me.